In our last two discussions we chronicled the pros and cons of choosing a sofer with a beautiful handwriting and a sofer who is a great yirei Shamayim. We can try and summarize the issues by honing in on a couple of key points. 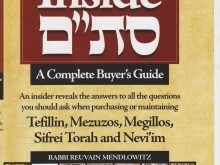 Although it is obviously impossible to be 100% sure that the person selling us a STA”M item is truly a yerei Shamayim, we are still obligated to do our best to try and find someone who is trustworthy. This, it would seem, is obvious, since when looking for a dentist or contractor or mechanic we do the same. Clearly, mitzvos ought not be treated with lesser concern. Bottom line: when presented with a choice between two sofrim whose writing is halachically problem-free, but one is an extraordinary yerei Shamayim while the other is a “regular Yid,” it would be better to opt for the one whose yiras Shamayim is extraordinary even though the other’s kesav may be nicer. 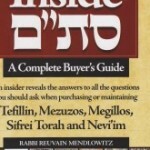 If, on the other hand, one sofer is clearly lacking in yiras Shamayim, then there is no question whatsoever that the wiser choice would be to go with the other sofer – even if he has a less beautiful kesav. Will he permit you to bring the STA”M you wish to purchase to an independent magiah? How does he respond when asked to whom he takes his shailos? A true yerei Shamayim will immediately give the name of the Rav to whom he brings his shailos and should have no objection to your having the parashiyos checked by a third party. Of course this is no guarantee that he is the next R’ Yisroel Salanter, but it’s a good start. Posted on February 17, 2014 by JKN Israel. This entry was posted in STaM. Bookmark the permalink.